Are These the “Toughest Ever” US Sanctions on Iran? Donald Trump labeled new U.S. sanctions on Iran as the “toughest ever,” saying the punitive measures would force Tehran to end its “malign” behavior. Analysts say the new measures that came into effect on November 5 are indeed the strongest sanctions regime imposed by Washington against Iran. But they also note that the sanctions lack the broad international backing that gave previous measures strength. The new sanctions come months after Trump pulled the US out of the 2015 nuclear deal between Iran and six world powers that was intended to curb Tehran’s nuclear ambitions in exchange for relief from nuclear-related sanctions imposed by the US and the European Union, as well as the termination of UN nuclear-related resolutions against Iran. Trump said at the time that he would reinstate the sanctions that had been lifted as part of the deal, which he described as the “worst ever”. So what makes the new measures, which heavily target oil exports and which Iranian President Hassan Rouhani has called “a new injustice”, tougher than before? “The United States has not only reinstated all sanctions that were lifted as part of the 2015 nuclear deal, but it has also blacklisted about 300 new Iranian individuals and entities,” says Ahmad Majidyar, the director of the Iran Observed Project at the Washington-based Middle East Institute. The US Treasury Department on November 5 imposed sanctions on Iran’s crucial oil, banking, and transportation sectors. The sanctions cover 50 Iranian banks and subsidiaries, more than 200 persons and vessels in its shipping sector, and targets Tehran’s national airline, Iran Air, and more than 65 of its aircraft. These measures are on top of existing US sanctions linked to Iran’s human rights record, alleged support for terrorism, and its ballistic-missile program that were maintained even under the nuclear deal. 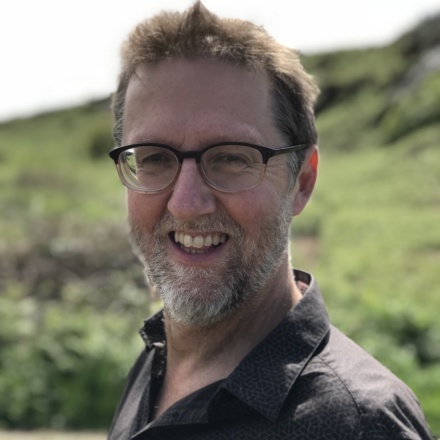 Scott Lucas, an Iran specialist at the University of Birmingham in Britain and editor of the EA WorldView website, says the new US penalties mark a shift from “targeted sanctions to sweeping general sanctions”. Lucas says, for example, that the declared aim of sanctions on Iran’s crucial oil exports is to completely cut off this revenue source, not just limit it. Washington has given waivers to eight countries to purchase Iranian oil but they expire in March 2019. “Instead of targeting Iranian companies or individuals, these new US sanctions are aiming to choke off the regime entirely,” says Lucas. The U.S. sanctions regime prior to the nuclear deal in 2015 was backed by measures by the UN Security Council and the European Union. But the latest US measures are unilateral. “The Trump Administration may still find it difficult to enforce the stringent sanctions to its fullest potential because of a lack of international support to economically isolate Iran,” says Majidyar. While major international companies and banks will no longer risk doing business with Iran, says Majidyar, smaller and mid-size companies in Europe and Asia are expected to maintain some level of trade with Tehran, with some support from their respective governments. Other analysts say that even unilateral US sanctions will be extremely powerful and severely affect Iran’s access to trading relationships, finance, and foreign investment. 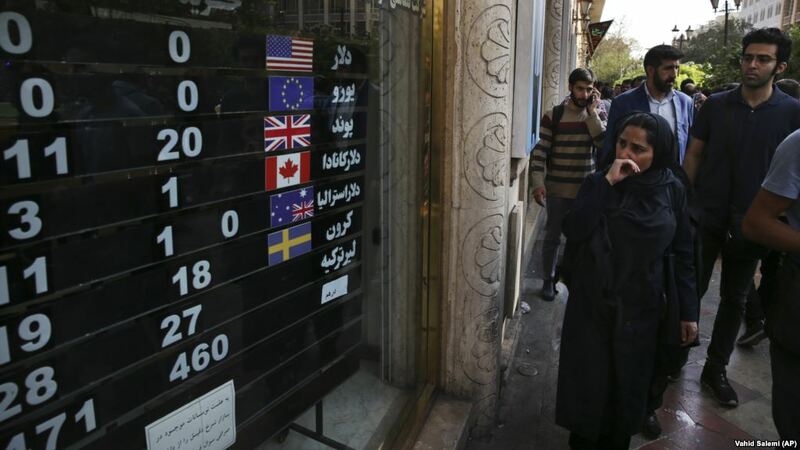 “Many international companies have already voted with their checkbooks, and there’s little question that Iran’s economy will come under growing duress in the months ahead,” says Naysan Rafati, an Iran analyst at the International Crisis Group. Dozens of Western companies have pulled out of Iran in recent months out of a fear of huge US fines. Washington says the terms of the 2015 nuclear accord were not strict enough to prevent Iran from developing nuclear weapons. It also accuses Tehran of proliferating ballistic missiles and supporting armed groups in the region that the United States considers terrorist organizations. But analysts suggest that the new US sanctions are not intended to limit Tehran’s nuclear program, but to destroy the clerical establishment. Analysts say Iran stands to be hurt more by the latest US sanctions than by previous measures, in large part because of the effectiveness of the latter. Lucas says Iran’s economy was “already battered” by previous rounds of sanctions. “It’s a weakened economy that is going to have to take a greater shock than before”. And Majidyar notes that the latest US penalties — which completely return the sanctions dropped in the 2015 deal, after a first round targeting financial transactions, aircraft, and heavy metals was reimposed in August — may not be the last. He says the US Department of State may next designate Iran’s powerful Islamic Revolutionary Guards Corps a foreign terrorist organization. The US Congress is expected to introduce additional sanctions on Iran and its regional allies, and the Trump Sdministration could try to work with its allies to impose human rights-related sanctions on Tehran as well, he says.